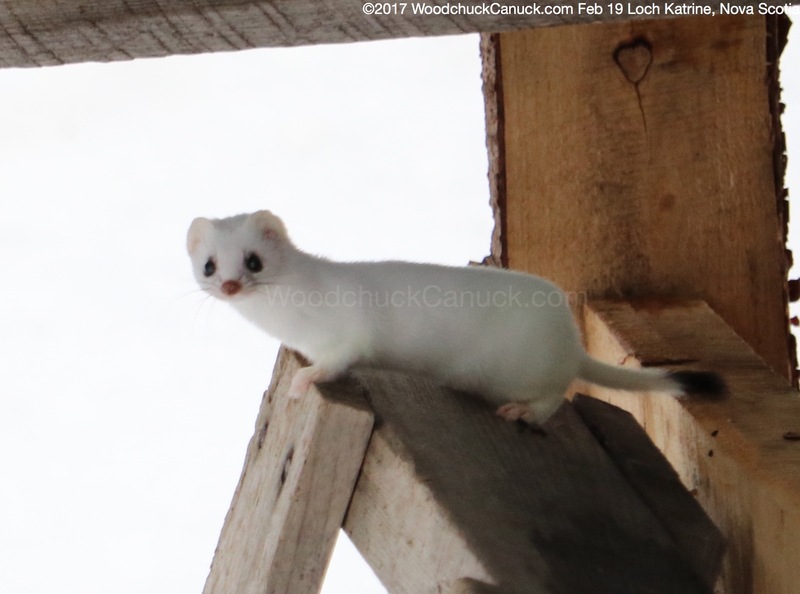 Whatever you want to call them, whether its an ermine, a stoat or a weasel, these little rodents are effective hunters. They will hunt mice, birds, fish, squirrels and pretty much anything its size or smaller. This one I captured on the wood pile today. Based on its size I think its a female. Shortly after this capture, it had a capture of its own, as it was hunting for a mouse that it eventually caught. The presence of this animal might explain why the birds were shy around the feeder this morning.